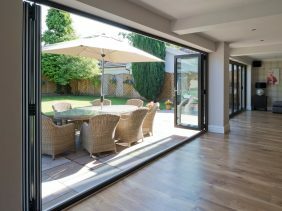 Our made to measure bifold doors will flood your home with light, maximising space and creating a seamless transition between your inside and outside space. 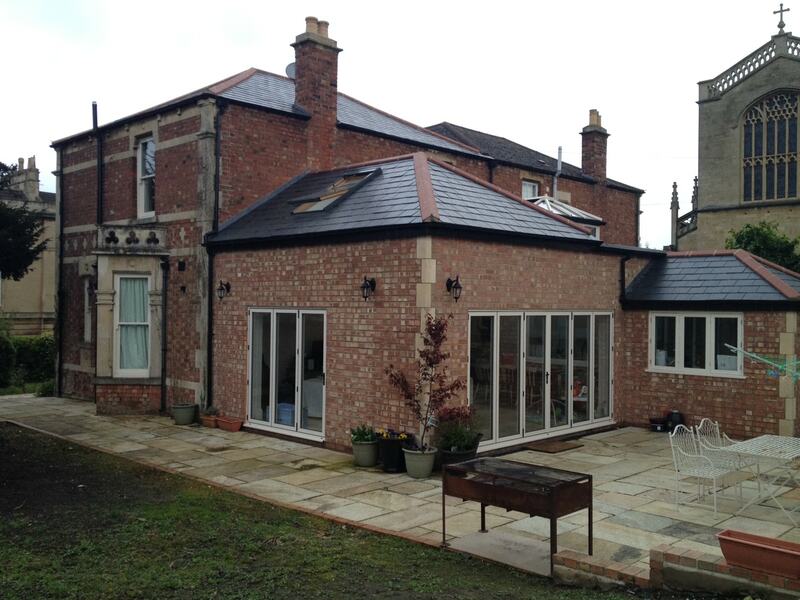 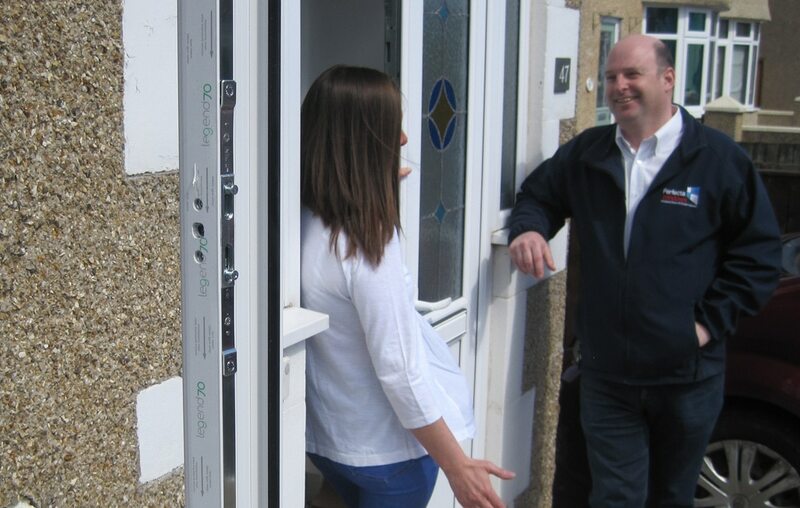 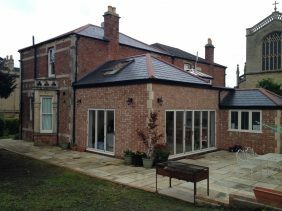 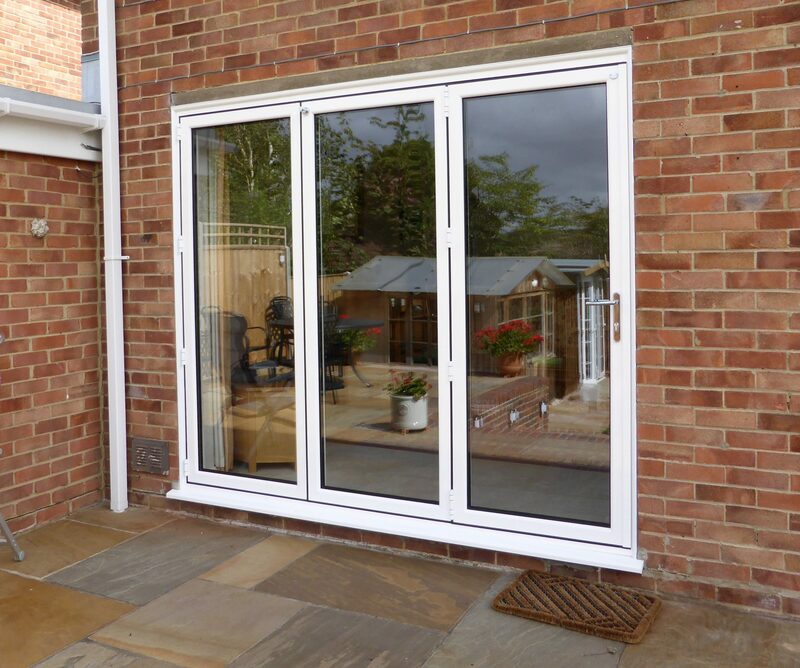 You can choose between PVCu or the increasingly popular aluminium. Your folding doors will be made-to-measure in your chosen material, in your choice of colour and in your choice of configuration – from two leaf up to seven leaf opening and closing variations, stacked left or right, inside or outside the frame; you chose what will suit your home and your needs. 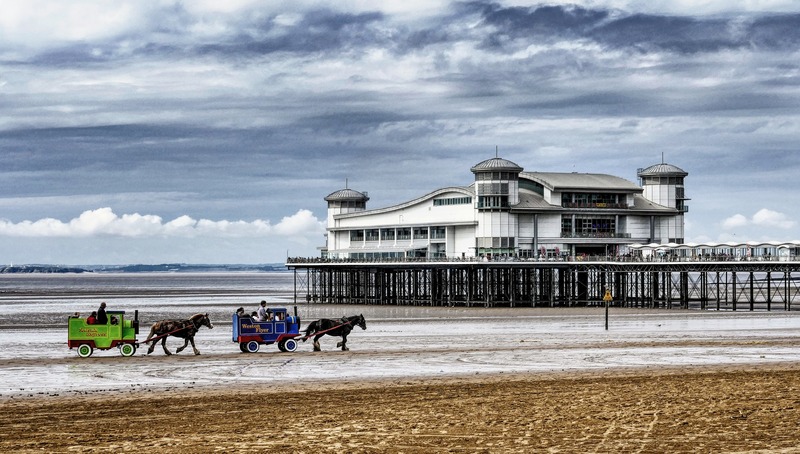 Each configuration is designed to effortlessly glide along top and bottom tracks, using stainless steel rollers. 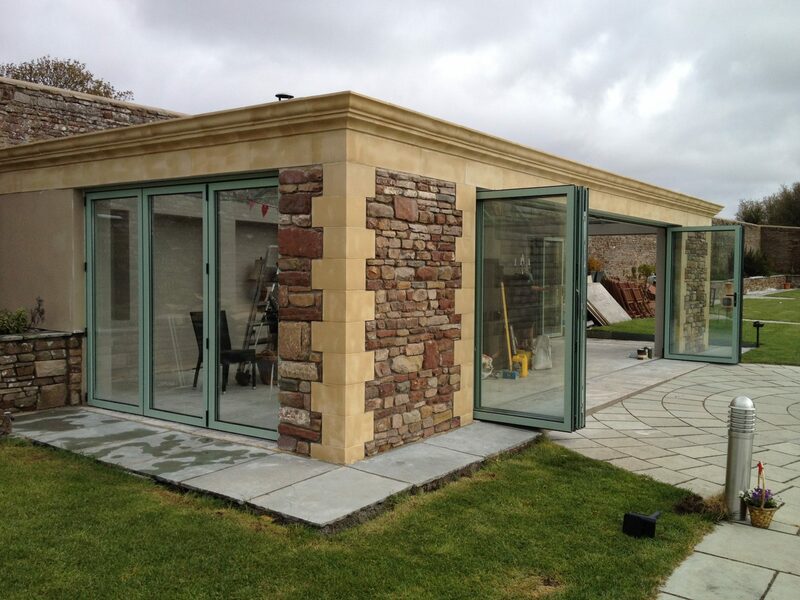 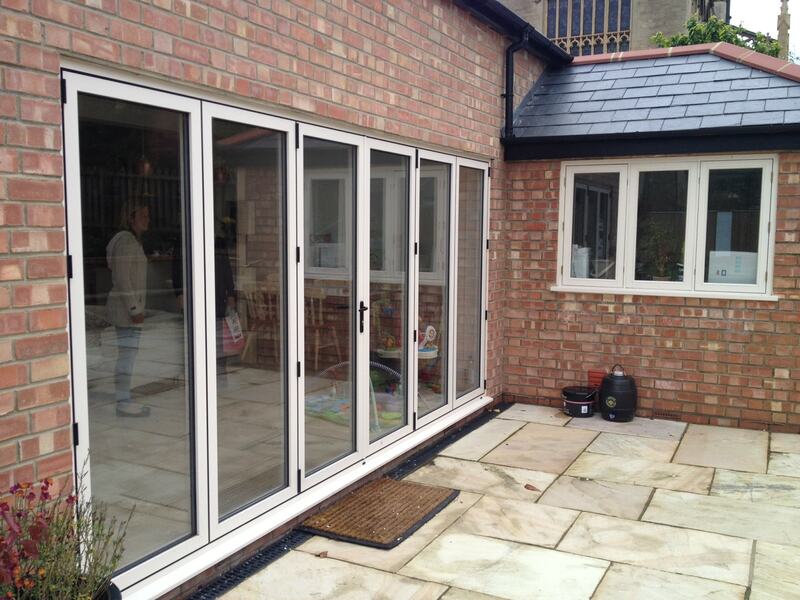 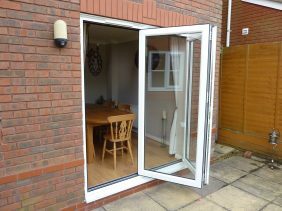 Installing bifolds will enhance the beauty of your home and transform the way that you use it. Even when the weather is less than perfect you can enjoy uninterrupted views of your patio, terrace or garden. 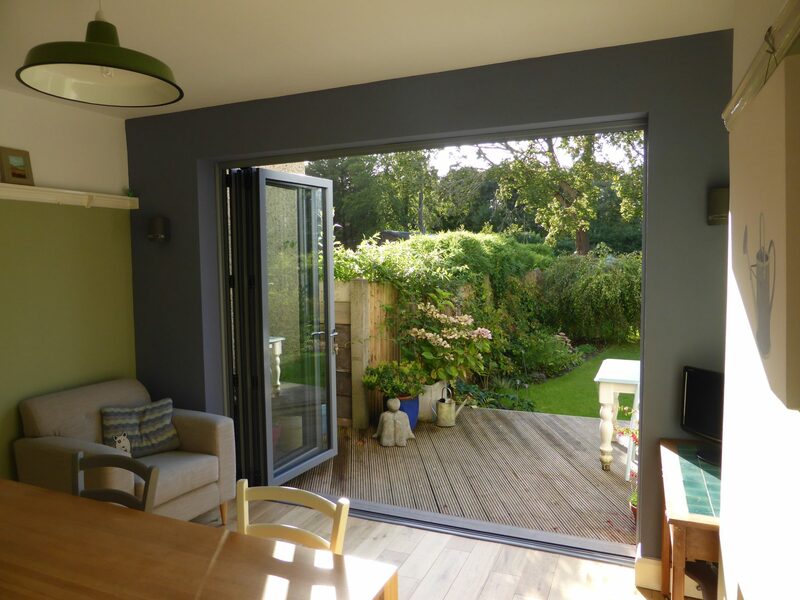 With a range of bi-fold door colours and configurations to choose from you can create a unique look for your home. 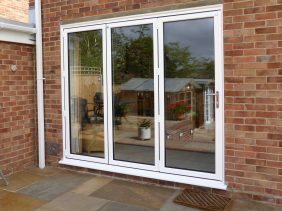 You’ll be left wondering why you didn’t do it sooner! 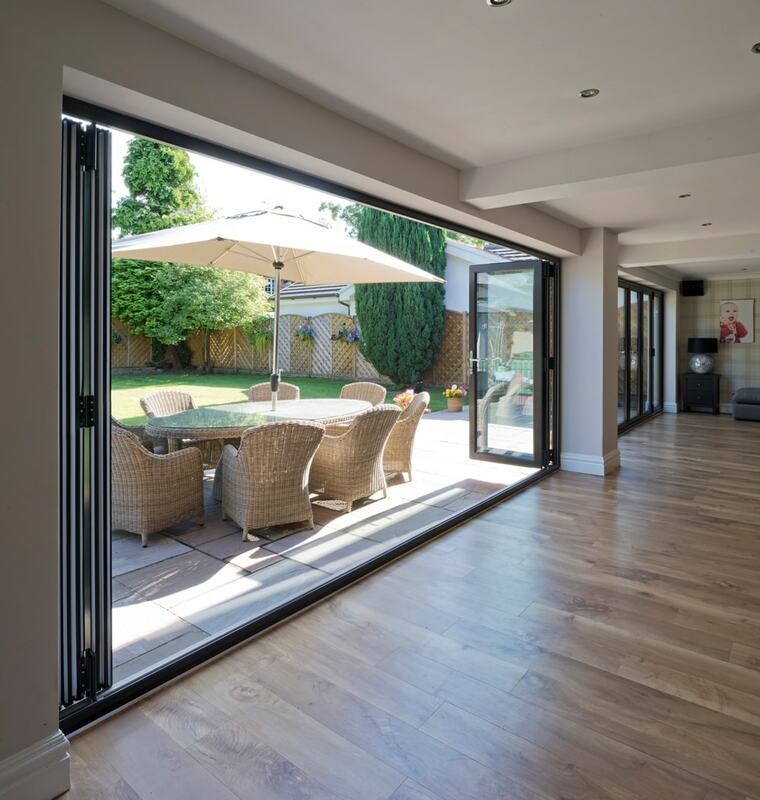 Here you’ll find our guide to choosing the best folding doors for your home. 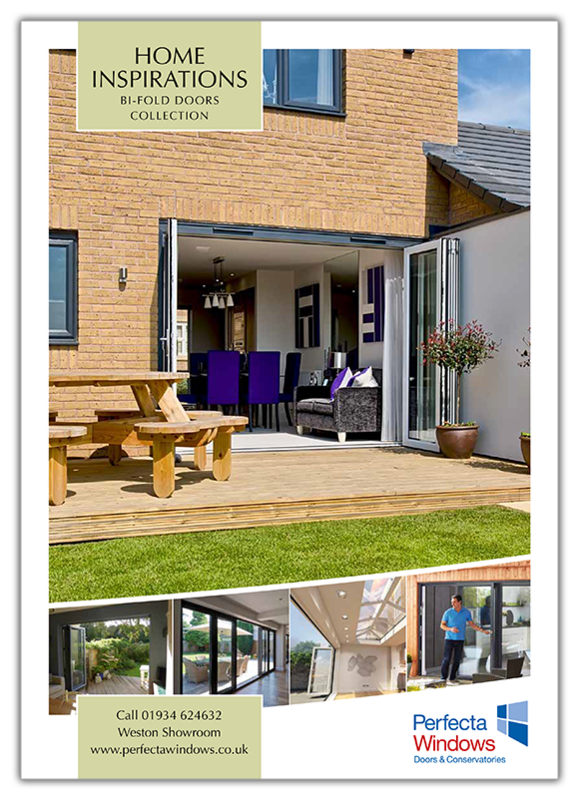 Featuring inspiration, technical detail and product information about our range. 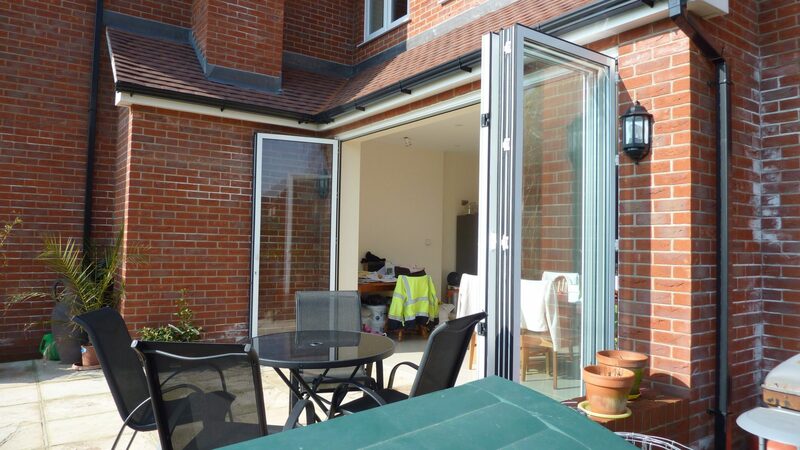 Your bespoke bi-folding doors will be manufactured to the highest standards in our local factory. 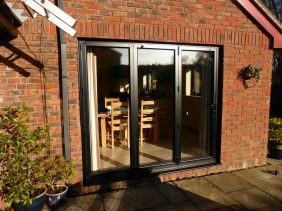 Durable, low maintenance, weatherproof and secure your new bifold doors will keep your home warm, safe, and looking fantastic for years to come.